The femoral canal is an anatomical compartment located in the anterior thigh. It is the smallest and most medial part of the femoral sheath. It is approximately 1.3cm long. In this article, we shall look at the anatomy of the femoral canal – its borders, contents and clinical relevance. The femoral canal is located in the anterior thigh within the femoral triangle. Medial border – lacunar ligament. Lateral border – femoral vein. Anterior border – inguinal ligament. The opening to the femoral canal is located at its superior border, known as the femoral ring. The femoral ring is closed by a connective tissue layer – the femoral septum. This septum is pierced by the lymphatic vessels exiting the canal. 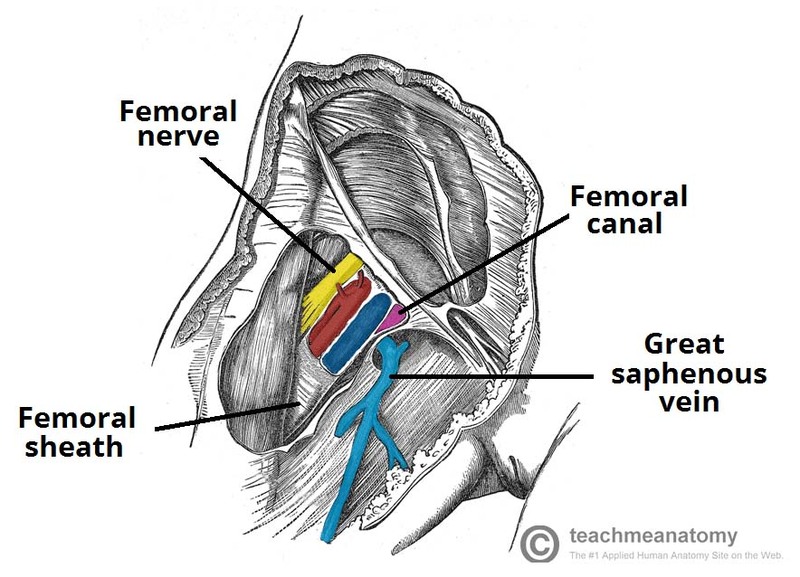 Fig 1 – Borders of the femoral canal. Lymphatic vessels – draining the deep inguinal lymph nodes. Deep lymph node – the lacunar node. The empty space allows distension of the adjacent femoral vein, so it can cope with increased venous return, or increased intra-abdominal pressure. 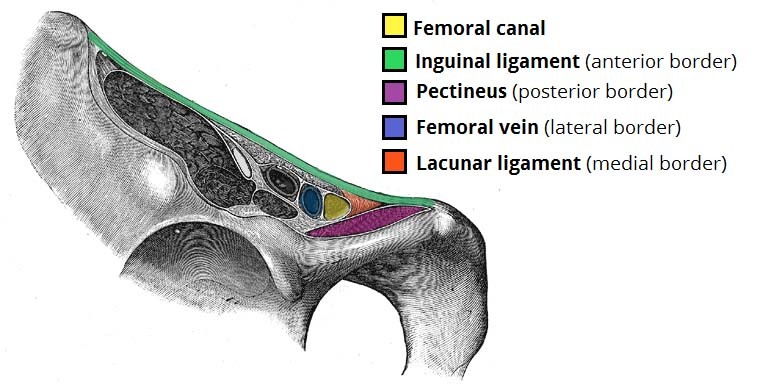 Fig 2 – The contents of the femoral triangle. The femoral canal is of particular clinical importance, as it a common site of bowel herniation. A hernia is defined as ‘where an internal part of the body pushes through a weakness in the muscle or surrounding tissue wall.’ In a femoral hernia, part of the small intestine protrudes through the femoral ring. It presents as a lump situated inferolateral to the pubic tubercle. This type of herniation is more common in women, due to their wider bony pelvis. The borders of the femoral canal are tough, and not particularly extensible. This can compress the hernia, interfering with its blood supply. A hernia with a compromised blood supply is known as a strangulated hernia. A surgeon is performing a block dissection of the femoral triangle. Which of the following structures is located immediately lateral to the femoral canal? Which of the following structures does NOT form the posterior border of the femoral canal? What is the relevance of the lacunar ligament to the femoral canal?